The book will soon be available from the author only. The book contains 416 pages, is well illustrated with over 820 photographs; of which many are being published for the first time! Pre-orders for first print can be made now. Payment to be made to the account indicated. Proof of payment, postal address of payee, name of person to whom the book must be autographed and email/contact details is required. 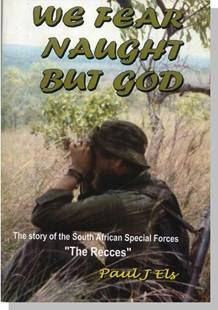 The book can be ordered at the price of R290 (add R20 postage - local). Please visit http://pelsa.who-els.co.za for details, or e-mail Paul Els at paul@who-els.co.za.